The brand now ranks among the very best providers to the leasing sector in the UK, having secured fifth place in the annual report of the fleet industry. One of the biggest events for the Contract Hire and Leasing industry, the FN50 awards recognises the largest leasing companies by scale. The prestigious event is also an opportunity for the leasing sector to honour its favoured brands and dealer networks. The UK’s 50 largest fleet leasing companies delivered their verdict on the best manufacturers, taking into consideration each brand’s performance and the service of its dealer network. SEAT followed Audi, BMW, Volkswagen and Mercedes as the leasing industry’s fifth best manufacturer. 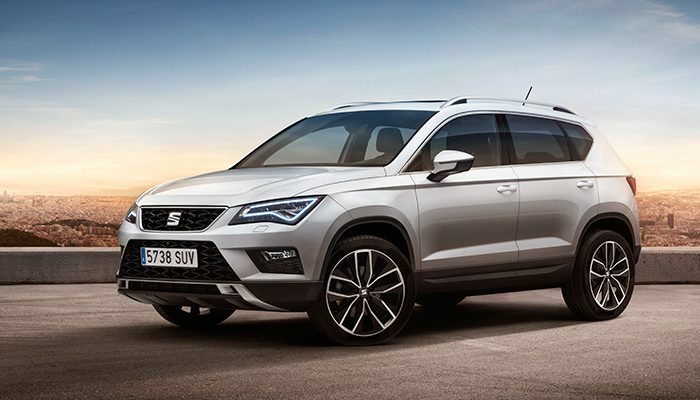 SEAT’s impressive ranking represents its best ever performance in the annual report, having experienced a meteoric rise since achieving a previous-best ninth place in 2014. The accolade from the leasing industry is one of many recognising SEAT’s growth in fleet, having been awarded this year’s Most Improved Fleet Manufacturer at the Fleet News Awards. The car manufacturer’s expanded SUV range, Four-day test drive, customer driverline and EasyMove programmes were all identified as initiatives driving greater engagement with the brand. The result arrives alongside significant sales growth in the SEAT brand, which has broken into the top 10 manufacturers in the fleet industry and remains on track to triple sales results over the last five years. Having seen unprecedented growth in True Fleet sales, the manufacturer has also taken the opportunity to reduce rental volume to optimise residual values across the range.